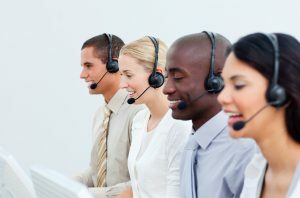 Call center agents who deal with sales or technical support typically require more in-depth product training, while outbound agent managers deal with more objections and job management skills that require the ability to lead, organize a multicultural team and handle issues requiring a higher-level skill set. With social media and web chat playing a prominent role in customer engagement many call center positions focus on writing to help problem solve, rather than having conversations. Web chat provides a unique opportunity for talented call center agents to interact with customers over a variety of platforms – but it also offers an additional layer of challenge. Agents now need to decode shorthand, internet slang, abbreviations and typos in a fast-paced conversation where the company’s reputation is on the line if the exchange isn’t handled well. Call centers have evolved, from simple telephone hubs to complex “contact centers,” where everything from technical support to sales inquiries is handled. 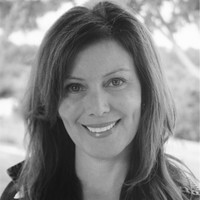 A deeper customer connection is required to be successful. Call centers have become an essential aspect of the customer relationship lifecycle making the quality of service offered by their agents more important than ever. The ability of the staff to communicate effectively, either via phone or web, is paramount. Like any representative of your company, it is important that call center agents convey expertise and impart the trust necessary to sustain a client relationship – something that requires a high level of speaking proficiency in the target language. Everything from grammar, to word choice, accent, intonation and the proper vocabulary are essential for communicating effectively with your clients. It’s important to ensure that the language used by your agents is clear, accurate and understood- especially if you’re outsourcing your customer service work to call centers abroad. As the recognized industry leader in language proficiency assessment, Language Testing International (LTI) provides reliable and defensible testing in more than 120 languages all over the world. We have helped hundreds of companies determine appropriate levels of language proficiency for the task at for both prospective and current employees. The Harvard Business Review recently reported that 72 percent of consumers are more likely to buy a product if the seller communicates with them in their own language. What is your language strategy? How will you delight your customers? Call LTI today and work with our language testing experts to develop a comprehensive strategy for managing your multilingual talent. Our language proficiency testing not only offers your company a competitive advantage, it will also give you peace of mind knowing that your employees, at all levels, can appropriately and effectively communicate with your customers.